Every year high-tech companies invest millions in sales and marketing programs that are aimed at bringing their sales staff into personal contact with the relevant decision makers. Despite digitization and advanced technologies, personal contact is still the most important basis for long-term success in sales when selling products and services that require an explanation. The first personal contact between the sales section and potential customers is often the beginning of a long-lasting business relationship. FreCom specializes in organizing this vital first contact with your potential customers. It handles for you the making of sales appointments with suitable contact persons at your potential clients. Maximise your turnover – the sales section should put its importance into practice and convert ideas into opportunities. 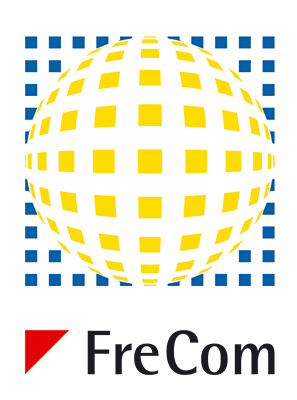 Up to 90% of the sales appointments made by FreCom have turned into new sales opportunities. Accelerate the sales cycle – reduce the time and money required and go straight to the top – straight to the most important decision makers for your products or services. Sales cycles are accelerated as a result by up to 50%. Increase the productivity and the success rate of your sales team with valuable and usable sales appointments from FreCom. FreCom provides and/or draws up target group addresses free of charge as part of projects for setting up sales appointments or generating sales leads. The detailed target group for the planned activities is determined jointly. The addresses and contact persons used in the course of the sales actions and all the additional information become yours.